Driving a Lamborghini is definitely a statement. 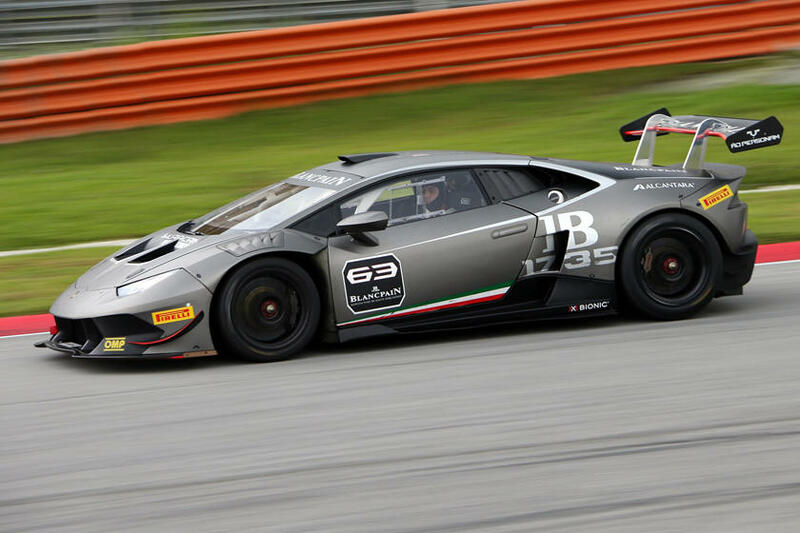 Lamborghinis are loud, brash and, despite a lack of racing pedigree, full of performance. Ask any middle-aged car enthusiast what posters were on their bedroom wall when they were kids, and there's a good chance there was one of a Countach or Diablo. The attitude towards designing a Lamborghini hasn't changed since those models, just the amount of supercars that have become available from other companies while Lamborghini has polished its penchant for exuberant lunacy. While Lamborghini doesn't have the racing heritage of Ferrari, the engineering is on par and performance usually matches if not exceeds. Whatever you may think of Lamborghini styling, Lamborghini's flagship V12 engines, in particular, are works of art. The first Lamborghini V12 that went in the 350 GT started off as a 3.5-liter engine but remained in use for almost 50 years. The final iteration had ballooned to 6.5 liters of displacement in the Murciélago. Now Lamborghini is in its 63rd year, there has been a long history with some big rough patches, but under the Volkswagen Group umbrella the company has been thriving and making some of the most exclusive and fastest cars on the planet. Some of that history is murky, some is surprising, and some is just plain weird. That leads us to this list and 11 facts every car enthusiast should know about Italy's brashest supercar manufacturer. 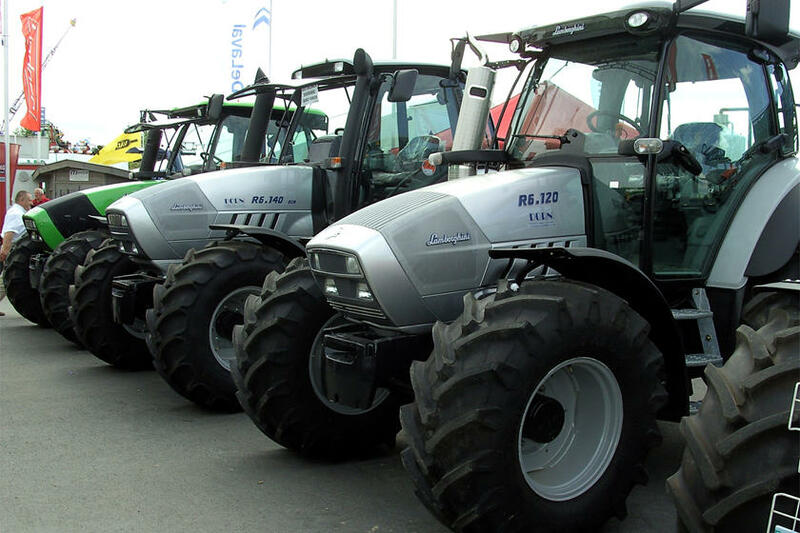 Any enthusiast should be able to tell you that Lamborghini started as a tractor company, but it's not so well known the company still makes tractors today. Ferruccio Lamborghini made his bones as a master level mechanic during World War II as a vehicle maintenance supervisor for the Italian Air Force. He was stuck on an isolated island and spare parts supply was patchy at best but he managed to figure out how to keep things running. Those skills helped him get the tractor business running after the war by building them out of spare parts. The stories of Lamborghini sports cars being born of a disagreement with Enzo Ferrari are legion and varied. Lamborghini test driver Valentino Balboni claims his story is the one as heard directly from Ferruccio Lamborghini's mouth. According to Balboni, the tractor magnate owned two Ferrari cars and had a habit of burning out clutches showing off. At some point, Lamborghini's mechanic noticed that the clutch was the same one that was fitted to a type of Lamborghini tractor. It was a part Lamborghini paid 10 Lire for to go in his tractors, and 1,000 Lire for from Ferrari when it was it was replaced in his cars. According to Balboni, Lamborghini confronted Ferrari saying: "You build your beautiful cars with my tractor parts." Ferrari was insulting in his reply about the fact Lamborghini made tractors, so Lamborghini told him he would make his own sports car. 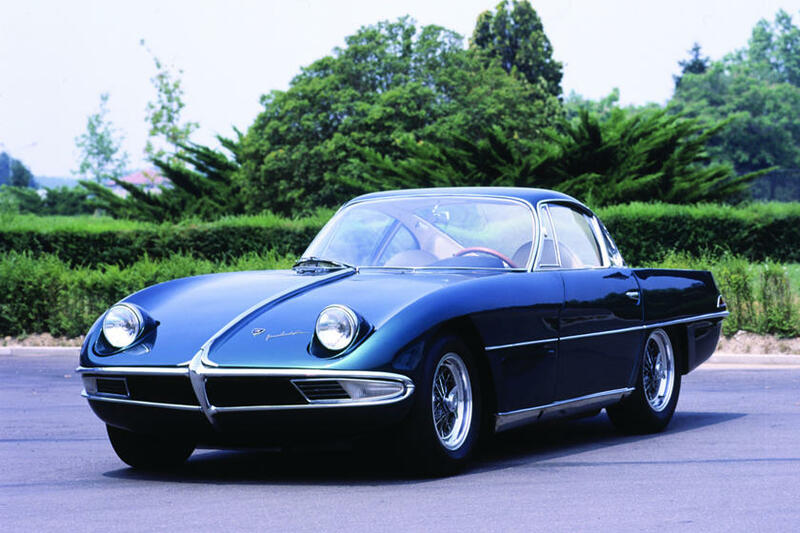 Lamborghini built the Lamborghini 350 GTV, and the rest is history. When the 350 GTV was unveiled at the Turin Auto Show, rather than having horses under the hood the display car had bricks hidden there instead. It was unfinished, so the bricks were used to weigh the front end of the car down as it would have with an engine installed. The Lamborghini relationship goes all the way back to 1963 and the choice to put Pirelli rubber on the 350 GTV. 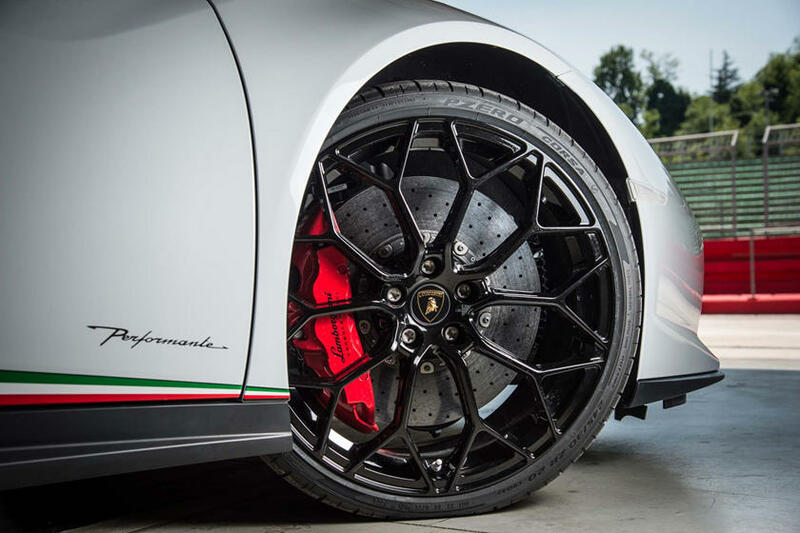 Since then, every Lamborghini has arrived wearing Pirelli rubber and many models have tires that are made to measure by the Pirelli factory. Ever wondered why Lamborghini cars have always been thin on the ground in racing? The man himself believed it was a waste of time and resources and refused to start a factory race team. It was a strict rule at Lamborghini until recently when the company allied itself with the Swiss watchmaker brand Blancpain to form Automobili Lamborghini S.p.A. 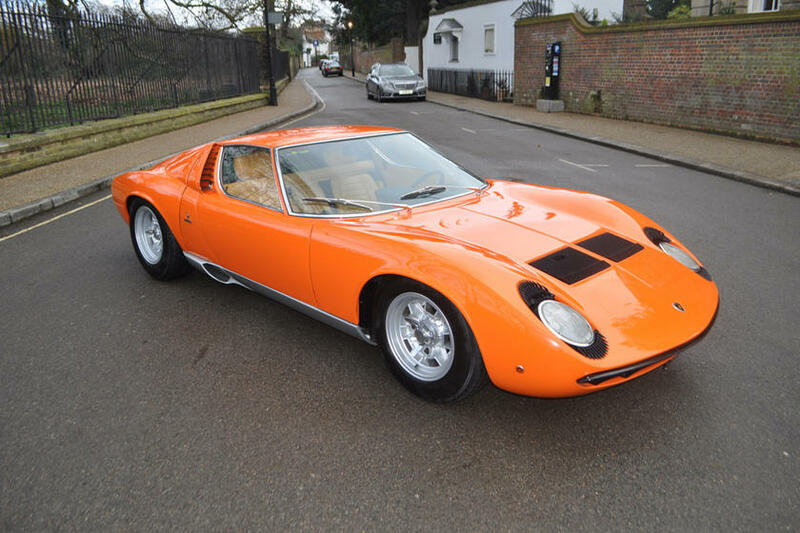 Anyone who was anyone in the 1960s owned a Miura, including Frank Sinatra who's model was orange, with orange shag carpeting and wild boar skin seats. It was Sinatra who's credited with announcing: "You buy a Ferrari when you want to be somebody. You buy a Lamborghini when you are somebody." When Chrysler bought Lamborghini in the late 1980s, they stretched a Lamborghini Jalpa's chassis, gave it four doors and called it the Portofino. 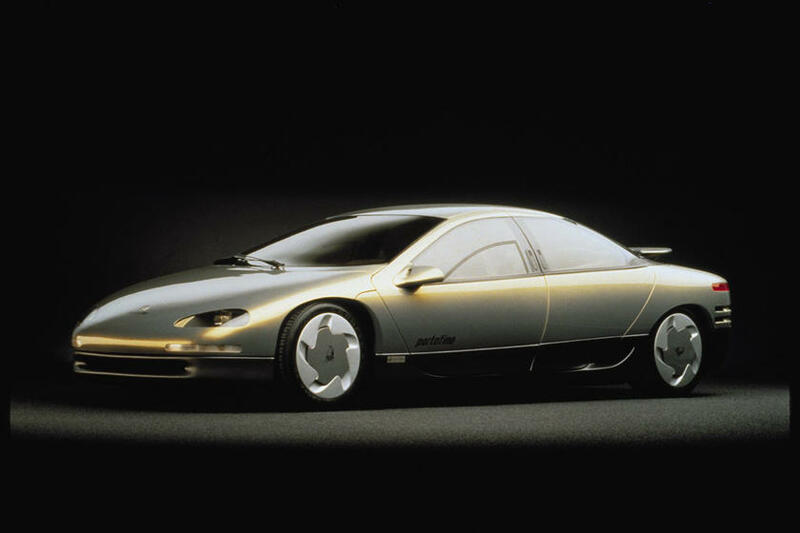 It never made it from concept, thankfully, but the design cues lived on in with the Dodge Intrepid. The 1980s were truly a decade for crazy concepts. 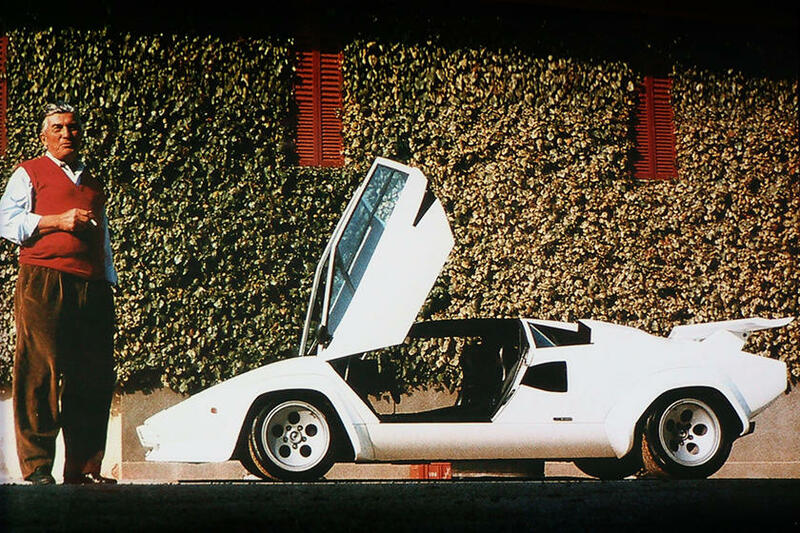 There are two versions of how the Countach got its name, and the one given by Balboni varies from the one told by the head of the Countach's design team, Marcello Gandini. Gandini's story is a long drawn out explanation about a tall man with large hands he worked with that spoke using Piedmontese dialect. The man would use the exclamation "Cuntacc!" a lot, and according to Gandini that literally meant "plague" or "contagion," but was used more to express amazement. Balboni heard a different version from an engineer working on the Countach called Paolo Stanzani. In that one, it was the reaction of a security guard when he first saw a 1:1 scale prototype model of the car. According to that version, and any official Lamborghini explanation, there's no literal translation to English other than "Wow!" But, in Piedmontese it is a mildly vulgar expression. There's a lot of confusion over the literal meaning of the word as to whether it's a mild or strong vulgarity, but either way that would explain why Lamborghini changed the spelling. Closest in American English would probably be seeing a cool car and saying, "Damn!". 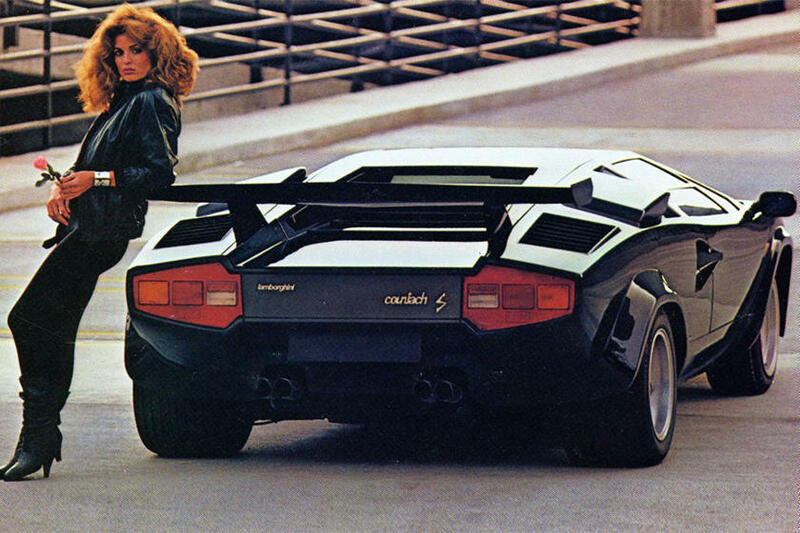 The Countach was in production for 16 years. It first hit the road in 1974 and was still being built in 1990. 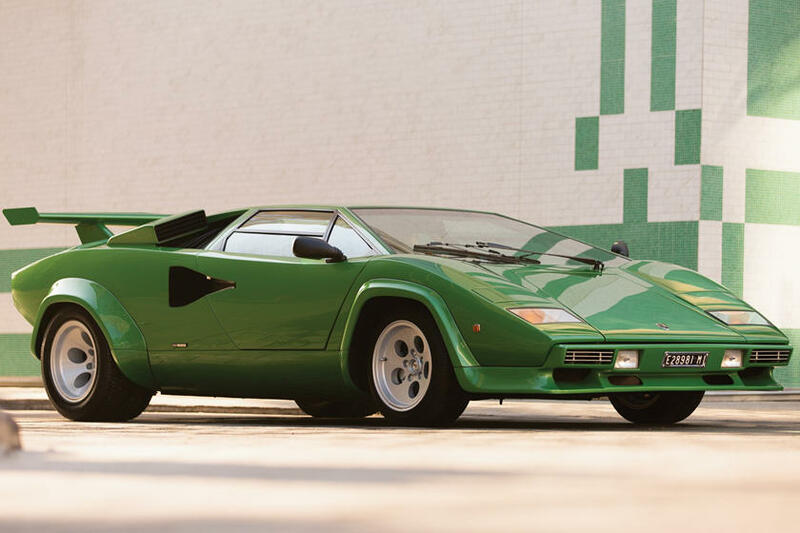 The Countach pioneered the cab forward concept and while it may not be considered the first supercar, it's still considered by many as the purest. 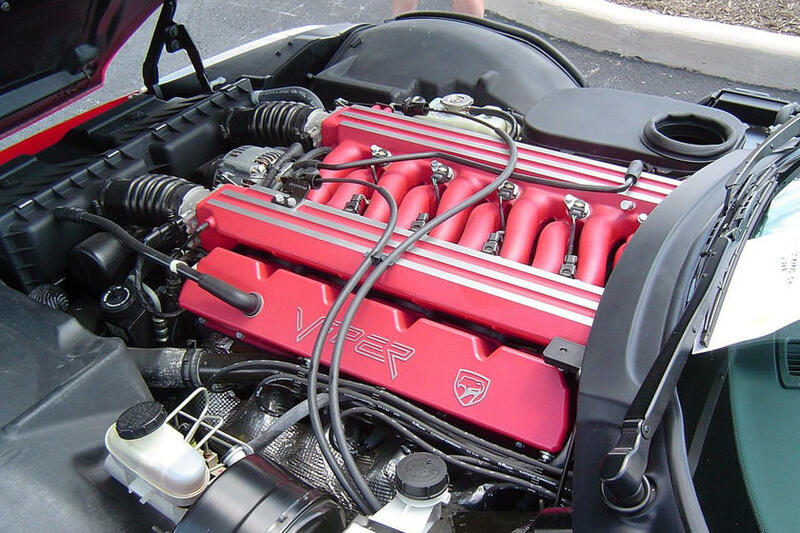 When the Viper started its development process, Dodge had Lamborghini cast an aluminum V10 engine for the prototype. It was essentially a better engineered version of the cast-iron Chrysler LA V8 truck engine with two extra cylinders but weighing around 50kg less. 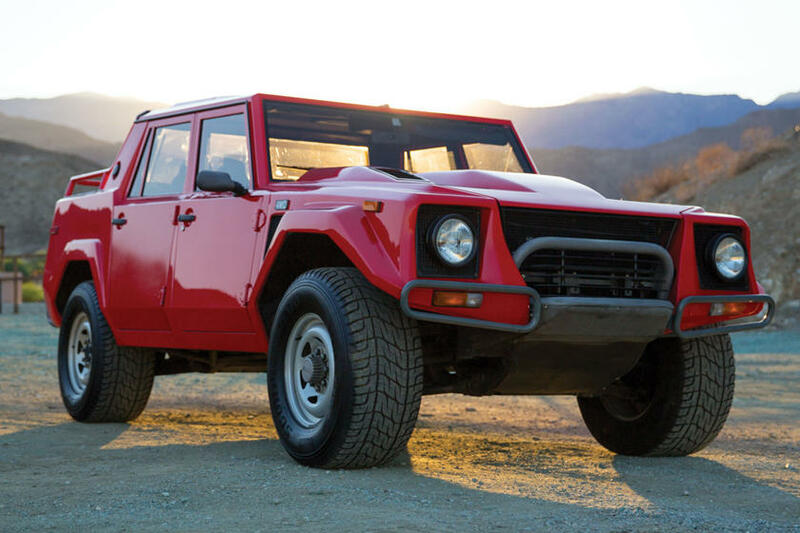 The LM002 was Lamborghini's SUV and a legend in its own right. The fact here is that when it was on sale it could be optioned with an 8.1-liter 775-horsepower Motori Marini Lamborghini marine engine installed. Lamborghini powerboat engines also have a string of offshore powerboat championship trophies to their name. 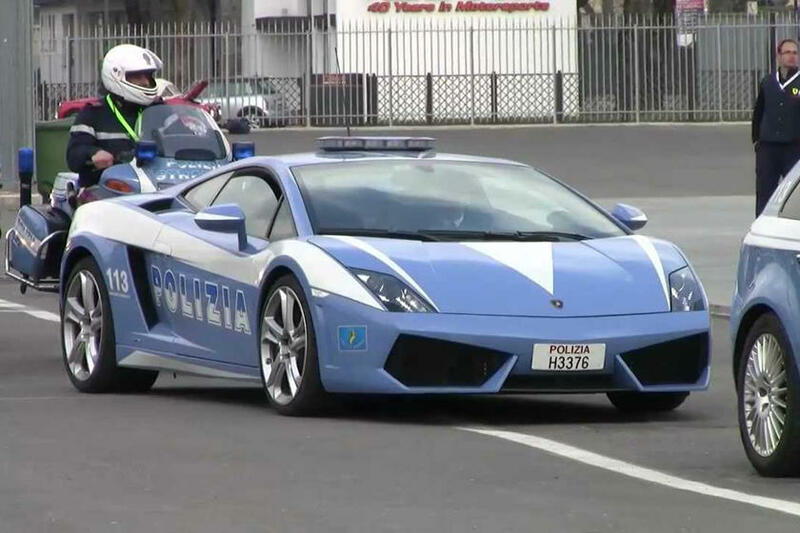 Lamborghini donated two all-wheel drive Gallardos to Italian state police. They were loaded with tech to help the cops go about their duties, including a refrigerated box for high-speed organ transport. Contrary to many reports at the time, the cars were used in all manner of police duties and not just organ transportation.